Dear Santa, What knife do you use with Reindeer? | The Life and Times of a "Renaissance Ronin"
Dear Santa, What knife do you use with Reindeer? Here at RR we often use knives more than pens or pencils. As Christmas and the Holidays approach, we find our thoughts drifting from Corten to brightly wrapped goodies that make us giggle with delight! Living in Montana has taught me many things. When we’re not welding on boxes or pouring pilings, we don’t linger on the couch. We live outdoors. Our trucks and horses are our transportation to the places where we hunt, we fish and we work in one of the most beautiful and challenging environments in the United States. And one of the most essential tools in Montana is a good knife. To live here (or in any other challenging environment) you need a high-quality, do-everything-you-throw-at-it hunting knife. If you or yours hike, hunt or fish, you’re in the same boat, rowing against the current! We don’t have to wander far from our porches to see Deer, Elk, Bighorn Sheep, Mountain Goats, Antelope and even Bears. The broad variety of all that game requires that we carry a knife with several key abilities. Add the rigors of Bushcraft (the lost art of thriving in the wilds) to that and you’re looking for a very special knife indeed. As a result, we’re always on the hunt for a really nice Hand Crafted AMERICAN MADE blade at a really good price that is purpose driven and ready for bird or beast. 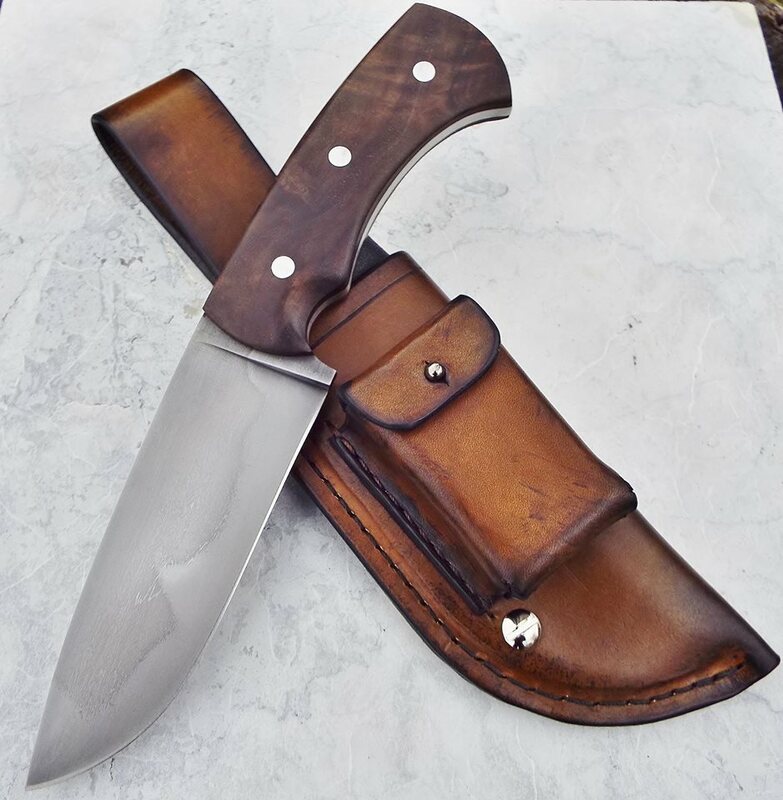 In our opinion, the right hunting knife is designed to tackle many tasks; Hunting, surviving in the bush and even tactical duties right down to it’s handle. First, a great hunting knife must be sharp and it must be easily resharpened when you get back to camp. Second, it better be “Tonka Tough”. 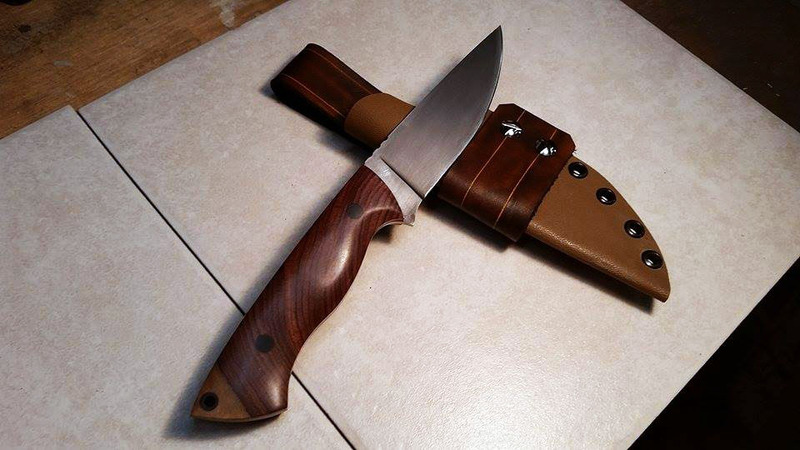 A great hunting knife has to be tough enough to handle use and abuse. If “Sharp” is it’s first name, “Strength” has to be it’s middle name. 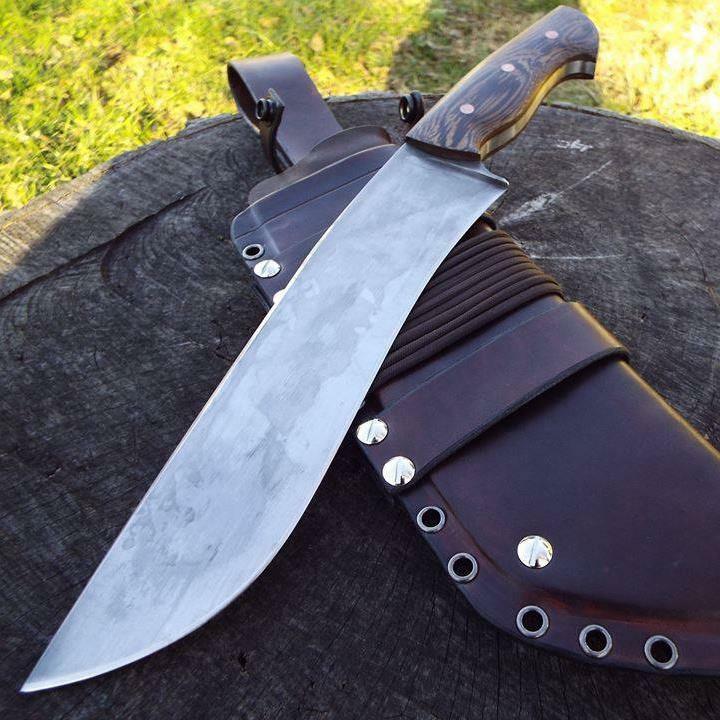 A great hunting knife must be strong enough to power through elk sockets and agile enough to skin a deer without making it look like you killed it by tearing it apart with a sawed off shotgun. Well, after a lot of searching (and a lot of knife education) we found a blade that we really like and we’ve been putting it to the test on beast and bird, elk and turkeys with great success. Long-time readers know that we’ve had some bumps along this road. It forced us to learn a LOT about blades AND their makers. But it doesn’t mean we quit. We kept looking and then the clouds parted. Okay, actually, we found this guy on the Internet. When we discovered him, it was lust at first sight. 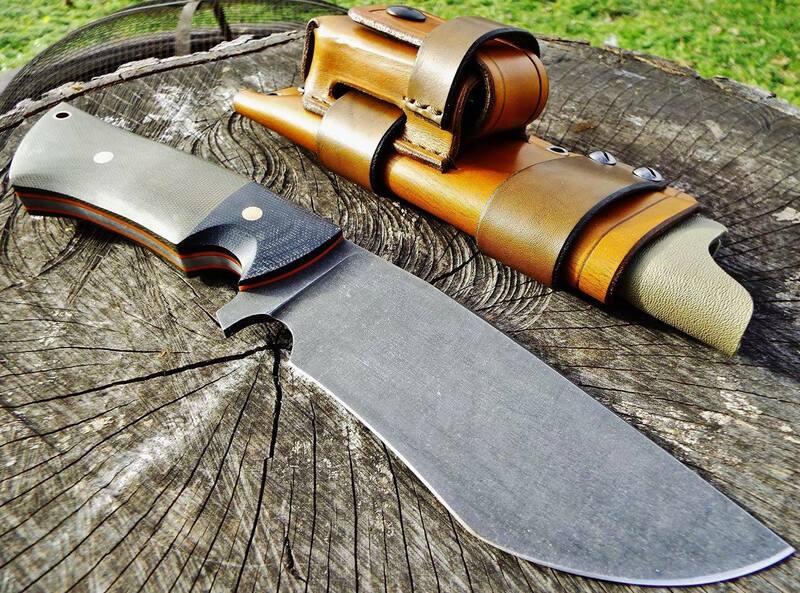 This guy crafts blades that make you proud even before you strap them on. We call it; “The ‘Root”. He became our blade building hero seemingly overnight because… not all of us can afford $1,000 Collector EDCs that never see the light of dawn in the field. Kieran told us that from day one, his goal was to build affordable, high quality EDCs, Skinners, Hunters and Camp blades for “us little guys”. He’s dedicated his trade to that. I hear that he even has a ‘Hawk in the works. Now as disclosure, I have to reveal that I personally own one of Hammer Down Forge’s blades now. It’s handled every test we’ve thrown at it. It’s powered through game (large or small) with ease. It’s strong, light and fast. It’s wicked sharp. We really couldn’t be happier with it. Several of us have fielded this blade to test it’s steel. All of us are smiling. Well, most of us are smiling. Some guys scowl when they have to give it back. Me? I’m grinning like a Cheshire Cat. 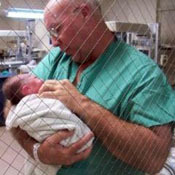 In fact, I have Kieran making me another one for delivery early next year. In fact, THIS is my blade. And, I couldn’t be happier with it. I wear it daily. I have to. People keep picking it up and carrying it off! LOL! Beyond being a high quality blade that will make you smile from ear to ear right out of the box, your ‘Root will look almost the same as mine. There are a few little differences. The finish on your blade will be “antiqued” and not “satin”. That means that it’ll be slightly darker and much more durable than the finish on my blade. It’ll make that Central American Cocobolo handle really pop! In fact, when I saw his “new” finish, I was disappointed that it wasn’t on MY blade! LOL! Guess what finish is going on the new blade he’s building me? Say it with me; “ANTIQUED”. LOL! FYI: I’ll warn you up front that I’m not kidding. This knife came to us out of the box wicked sharp. Kieran just told us that he has just (1) ‘Root left available for Christmas and he wanted to save it for one of our lucky readers. He’s building it right now, just for us. 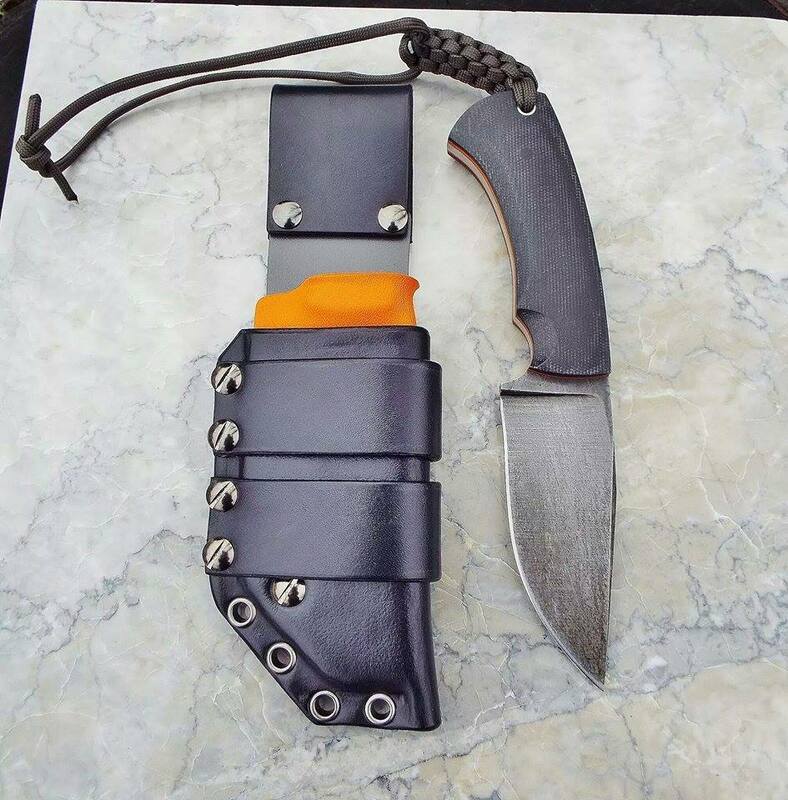 This is a $400.00 knife, all day. 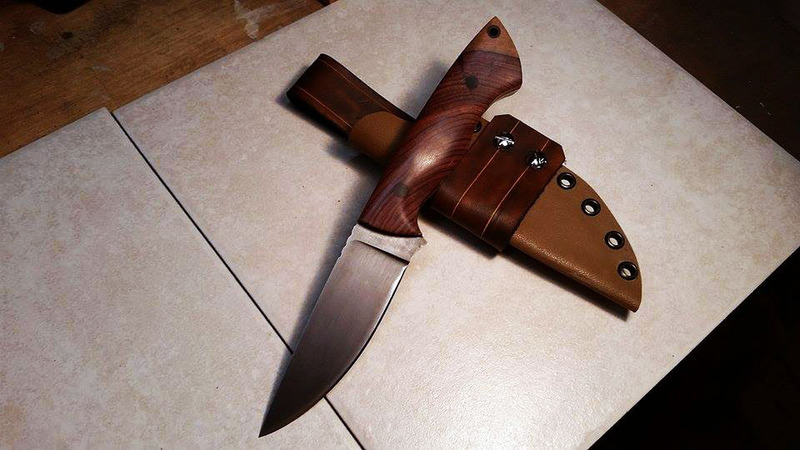 Knives of similar quality by other knifemakers will cost you upwards of $600.00. The first $300.00 will put it under your tree for Christmas. He’s included Priority Shipping and insurance via USPS in the price. Buy it before Monday the 22nd and it’ll arrive Priority Mail in time to find it’s way into your present pile! Tell him Bubba sent you.